Last week two Cuban historians – Orlando Cruz and Felipe Perez Cruz – tried to reply to my article “The options of Cuba”, published in La Jornada. 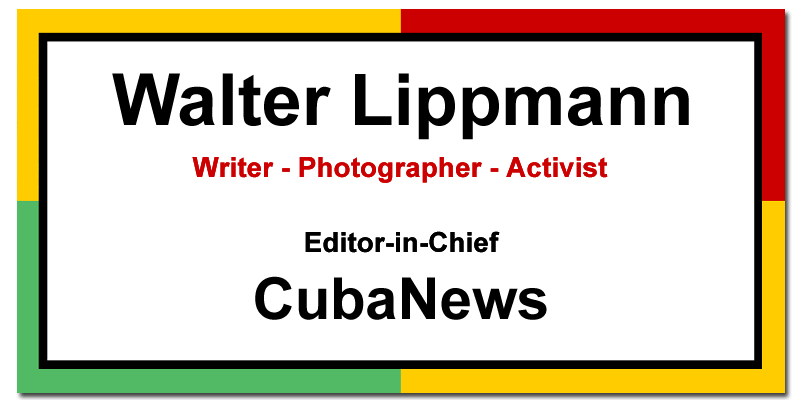 I am glad so many of those that can have Internet in Cuba read my newspaper and what I write. I am equally satisfied that the first one – who was harshly criticized by his readers – calls me comrade, and the second, a respectable professor, although both, showing their colors, at the end of their literary pieces suggest that I am under the influence of liberalism, counterrevolution, anticommunism and anti-sovietism, and other boogey men of [political] discussions. For this reason, before responding to Felipe Cruz, I want to state some facts. Since I was 13 years old (I am now 81) I am a socialist and a militant revolutionary Marxist, since I was 19. Already in 1957 I was secretary to the Argentinean committee of solidarity with the Cuban revolution (which I founded), and I was put in a high security jail for that reason. I defend the Cuban revolution since then, without necessarily saying amen to all revolutionary government’s positions. For some, calling someone a professor is a pejorative epithet suggesting a stay at home intellectual, who writes sitting at a desk without any contact with the people. Nevertheless, I am proud of what I taught, of what I did and what I teach in the classrooms, before and now. And, not only as a professor, but [actively] in the workers movement and in the political and social life of Mexico and Argentina, not to mention other countries. I, on the other hand, follow closely and with passion what goes on in Cuba and, of course, in this world connected by cybernetics, I don’t lack first hand information. Therefore, I can request that they don’t purport I said what I didn’t say nor what I am not, just because it is convenient for [to win] the polemic. I don’t ignore what the revolution has accomplished; neither did I say nor do I think that the country is irrevocably heading to an implosion (I did talk, however, about a very serious crisis that any responsible Cuban can see). I didn’t say that the communist party is similar to what the Soviet one was (I believe that the best people and also the worst of Cuban society belong to it; that is to say, exemplary revolutionaries and opportunists, sectarians and climbers). And, above all, I never confused communism with the Stalinism, which is its negation; nor did I [confuse] the rejection of Stalinist bureaucracy with anti-sovietism, because it destroyed the soviets, Lenin’s party and the III International. I believe that objectivity is basic to any discussion (F. Cruz titles his critic Opinions on G. Almeyra’s comments and it is almost five times longer than my note). I should also thank F. Cruz, who writes better than his colleague, although he says he is responding to the ‘acertos’ (with a c) for ‘asertos’ (meaning assertions) of a certain commentator (evidently well-known in the official media) giving opinions (officially?) to refute my statements. However, one thing is syntax (and even certain patriotic, and not solely bureaucratic passion that one can intuit) and another elementary logic. If, according to my critic, in Cuba everything is going the best possible way and everything that needs to be done is done, then why did Fidel denounce the dangers of bureaucratic counterrevolution? And why is there a crisis, in particular a moral crisis of the young people? Not all young people mind you – how could I say that when it is for them that I write – but an important part of urban youths? In Bulgaria 99 percent of the people voted (formally there were no sick people, nor opposition, nor anything). But, was this a good social thermometer? Does the participation in Cuba of 96.89 percent of the voters in the elections mean that all those voters agree totally with everything? There were14 thousand 500 assemblies to postulate candidates for representative positions. But, wasn’t there a previous selection made by the party? Can anyone really present himself as a candidate? Deputies, it is true, can be revoked by their electors: has this ever happened? Were Lage and the other leaders revoked by their voters or by their peers? Or was it by the critics made by Fidel, who has no official position in the State? In the union assemblies, which are summoned to discuss plans and to approve budget projects, can the agenda be modified to include other critical points and proposals, or to choose delegates by basis resolution? In school and other study center assemblies, is it possible to discuss and reject programs and teaching methods? Also, if the party is as democratic as my critics paint it, why did it expel Celia Hart, in spite of the unanimous vote of her cell against it? Don’t these historians know that Marxism-Leninism – the one that the State wants to disseminate – was an aberrant invention of Soviet bureaucracy and that it would be better to teach the history of socialist ideas and of the world labor movement? Do they know that Mella was expelled and joined in Mexico the Leftist Opposition? Don’t they know that the concept of the Pope’s infallibility belongs to the Catholic Church and not to Marxism? And that, although Fidel is a revolutionary and has great merits, he has also made big mistakes? Why should we have faith, as religious people, in the old generation of revolutionaries when what we should be doing is preparing those that will come after them? For this we need to enhance their preparation and encourage the political participation of young people and workers. SORRY, exact date and link to original in La Jornada not handy today. The investigation that brought about the downfall of several officials began three years agoWe need to save. But, …how?